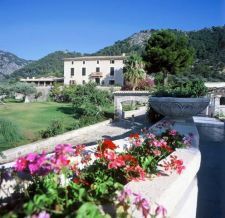 The Hotel Is Located 7 Km From Pollensa, In The Foothills Of The Glorious Sierra De Tramuntana Mountain Range, With Woods And Forest Full Of Holm-Oalks, The Beaches Of Pollensa And Alcudia Are Just A Few Metres Away.The Resort Is A Refurbished Majorcan Manor House Of 556 Acres, And Blends Its Original Character And Heritage With Modern Facilities. In Addition, Horse Riding Excursions, Cycling And Hiking Can Be Arranged, As Well As Other Activities. There Is A Jacuzzi, Massage Centre And A Restaurant Serving Mediterranean Dishes. The Spa Contains Indoor And Outdoor Spa Baths, Steam Room, Two Saunas, Swimming Pool And Fitness Room And Offers A Range Of Beauty Treatments Using Natural Products And Qualified Therapists Able To Advise Clients On Those Which They Will Find Most Beneficial. Hotel Guests Have Unlimited Use Of The Spa During Their Stay.